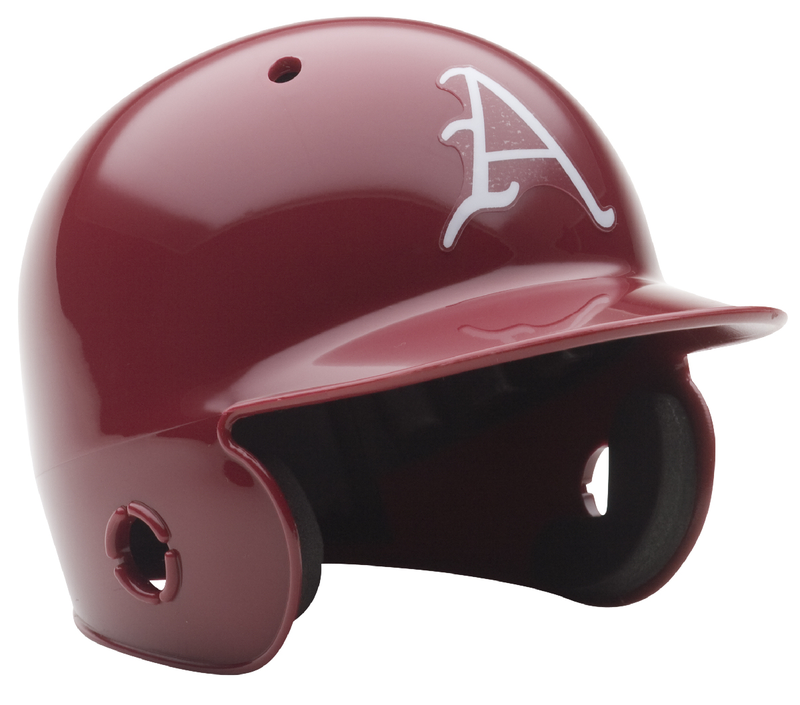 Arkansas Razorbacks Mini Batters Helmet. Schutt mini batters helmets are a perfect addition for any baseball fan Perfect item for autographs and collectors. Mini batters helmets are finely crafted versions of the actual helmets. Mini baseball batters helmet with great graphics and team decals. Real replica interior foam pad set. Size 6 ½" (L), 5" (W), 4½" (H) (NOT FOR WEARING).